The death toll from a flash flood in Jayapura district in the easternmost Indonesian province of Papua rose to 104 as of Tuesday night, a spokesman said. 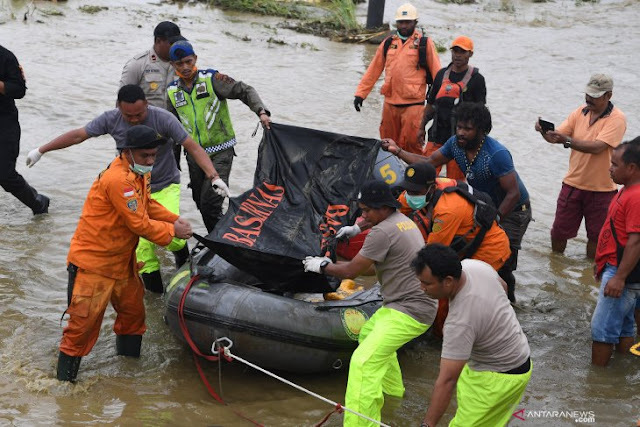 The number may increase, as the search for other bodies of the flash flood is still ongoing, chief of the Cenderawasih Regional Military Command Colonel Muhamad Aidi said on Tuesday. Moreover, hundreds of people were still missing in the wake of the flood triggered by heavy rains, he said. He said the flood forced 8,773 people to evacuate to higher ground and they were being sheltered in 18 different camps. Of the total, 1,391 are being sheltered in the office complex of the Jayapura district administration. To alleviate the burden of the flood victims, the Cendrawasih Regional Military Command opened public kitchens capable of serving 3,500 people for breakfast, lunch and dinner.